The results of the World Islamic Economy Report 2018-2019 show that the UAE is ranked first in five sectors: Halal Foods, Halal Travel, Conservative Fashion, Media and Entertainment, Pharmaceuticals And halal cosmetics », compared with three sectors in 2017 - 2018, although Malaysia is issued the" Islamic Economic Index 2018 - 2019 ". The report, which was launched for the sixth consecutive year, was discussed at a seminar held at the Dubai International Financial Center (DIFC) yesterday as part of the second day of the Islamic Economics Week. Commenting on the report, Economy Minister and Chairman of the Dubai Islamic Economic Development Center, Sultan bin Saeed Al Mansoori, said that the UAE has strengthened its ranking this year on the index of the global Islamic economy, achieving advanced positions in two additional sectors. He stressed that this rise in the country's classification reflects the commitment of partners to implement the Center's initiatives, their important contributions to the development of the Islamic economy, and the success of sustainable development endeavors in the UAE within the framework of the country's post-oil economic vision. "Every annual report presents new facts and statistics that provide us with new insights and insights to better understand and anticipate the behavior of Muslim consumers in key markets," said Abdullah Mohammed Al Awar, Executive Director of Dubai Islamic Economic Development Center. "This year we have witnessed a surge in demand for products that comply with Shariah-compliant financing requirements, strict environmental sustainability standards and health and safety standards, which are also manufactured using certified Halal components," he said, adding that this continuity, Of the supply chain reflects the increasing attractiveness of Islamic economy products, and growing demand among the world population. Al Awar stressed the commitment of the Dubai Center for the Development of Islamic Economy to strengthen the UAE's position on the global index of the Islamic economy, through cooperative efforts with strategic partners, to support the Islamic finance and banking sector, the only sector in which the country ranked second. The World Islamic Economy Report 2018-2019 estimates that Muslims spent $ 2.1 trillion on food, beverage and lifestyle in 2017, and spending is expected to reach 3 trillion by 2023. Food and beverage spending first came in at $ 1.3 trillion, followed by $ 270 billion in fashion, $ 209 billion in entertainment and entertainment, $ 177 billion in travel, $ 87 billion in pharmaceuticals and $ 61 billion in cosmetics. The Islamic economy has proven its ability to keep abreast of the latest developments in technology and investment. The companies adopt Block Qin's payment technology to ensure compliance with Halal, track food, cosmetics and medicines from the manufacturing facility to the retailer, attract artificial intelligence and virtual reality technologies, Internet things »more investments than ever before. The report emphasized that there is much room for growth in the Islamic economy. Only $ 745 million has been invested in private equity over the past three years, far less than $ 595 billion in global private equity and venture capital investment in 2017. 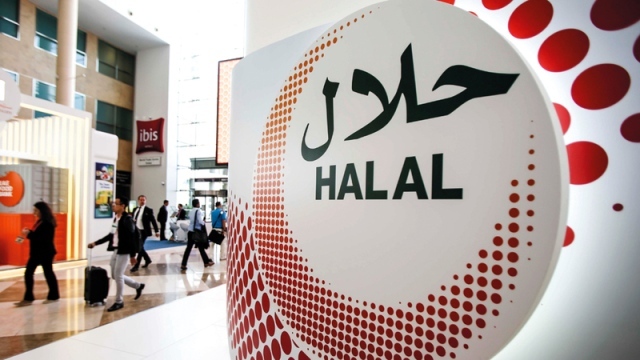 With the UAE and Malaysia taking the lead, and amid expectations that Muslim spending on food and beverages will reach $ 1.9 trillion by 2023, there are significant opportunities for investment and the establishment of global halal food brands. The report pointed to the growing impact of the Islamic finance sector quickly, especially in the member countries of the Organization of Islamic Cooperation. He pointed to the increasing spread of Islamic banks, especially in the UAE, while Islamic finance outweighs conventional loans in Malaysia in 2017, as the main driver of growth of the domestic banking system. The report estimated assets in the Sukuk issuance sector to be $ 2.4 trillion in 2017 and is expected to rise to $ 3.8 trillion by 2023. The Halal tourism and travel industry is witnessing significant expansion through its cultural, historical, religious, and sharia-compliant holiday packages. The report said that mainstream travel services have become Sharia-compliant, ranging from Dubai's shared ownership apartments to the growing choice of applications and websites designed to cater to the needs of Muslim travelers. The data showed Muslims spending about $ 177 billion on travel in 2017, and spending is expected to reach $ 274 billion by 2023. Islamic fashion has seen steady progress, from the appearance of fashion models wearing headscarves to famous brand platforms, and to European fashion magazines showing Muslim models on their cover pages. In a remarkable shift, fashion retail brands began to launch their Islamic-style designs, such as Mackis in the United States, Marks & Spencer in the UK and H & M, at a time when Malaysian actress Nilova The first woman to wear the headscarf of the French cosmetic label Lancome. Muslim spending on clothing reached $ 270 billion in 2017 and is expected to reach $ 361 billion by 2023. Halal pharmaceuticals have seen the emergence of a new concept in the treatment of halalopathy, which combines the concepts of spiritual healing and halal medicines. In 2017, Muslim spending on medicines reached $ 87 billion and is expected to reach $ 131 billion by 2023, while halal cosmetics spending is estimated at $ 61 billion and is expected to reach $ 90 billion by 2023. Halal media and entertainment are increasing their presence and appeal from the big screen to Netflix Islamic products for young people. Muslims spent $ 209 billion on media and entertainment in 2017, and the figure is expected to reach $ 288 billion by 2023.